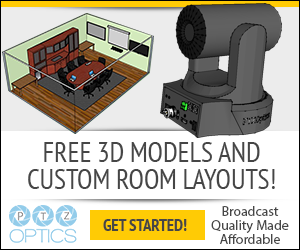 This weeks podcast interview is with Matthew Davis the Product manager for PTZOptics. 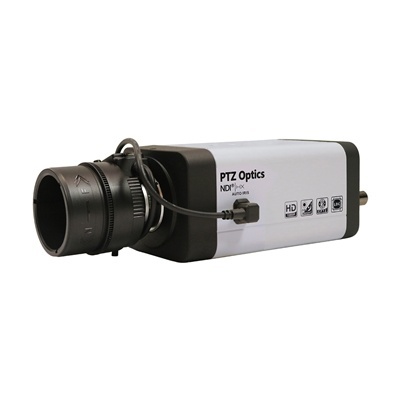 We love PTZOptics for their great live streaming camera solutions that are both quality yet affordable. 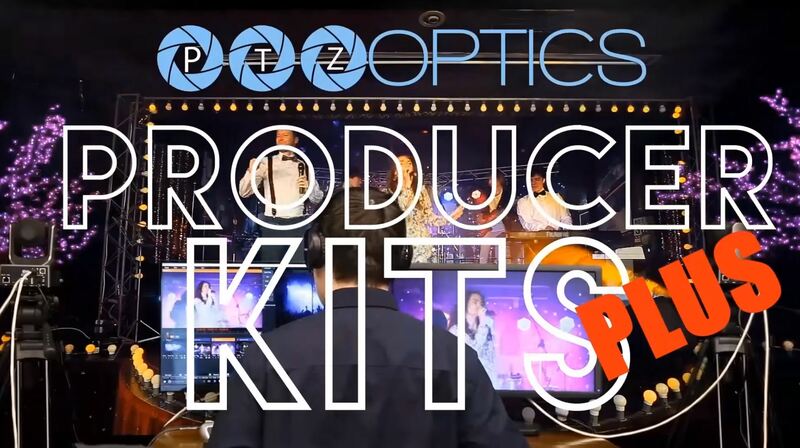 PTZOptics is an innovator that got into the streaming game at the very beginning and has been refining ever since. They are our most popular streaming hardware providers for Churches and beyond. Enjoy this interview about their company and products. Could you give us a brief introduction of your company? 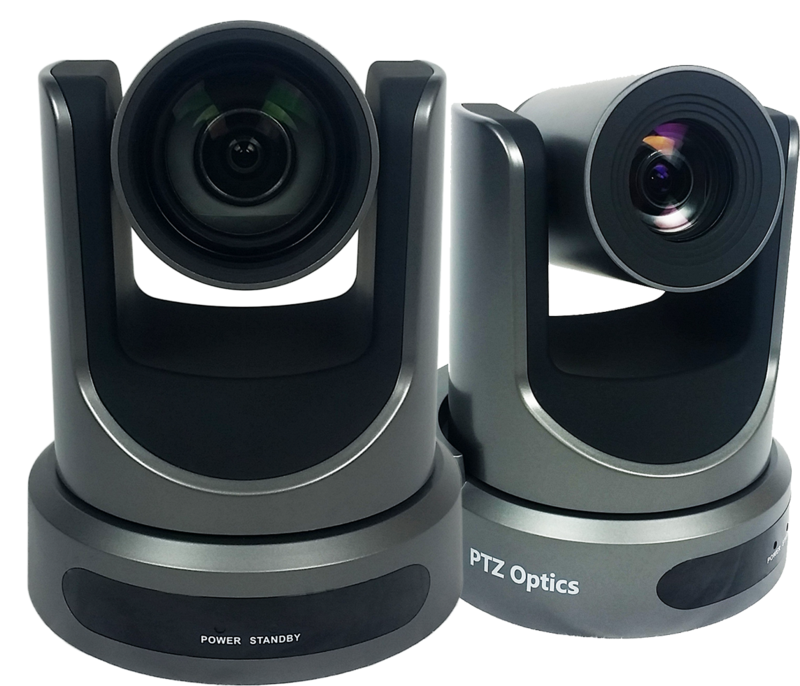 PTZOptics came about when we wanted to find a high-quality web video conferencing camera and didn't find much in an affordable price range. So, we began working on our own variation of what was already out there. We started by trying to create a high quality, USB pan-tilt-zoom camera and realized quickly was that these cameras were a perfect fit for the live streaming market that was starting to pop up. 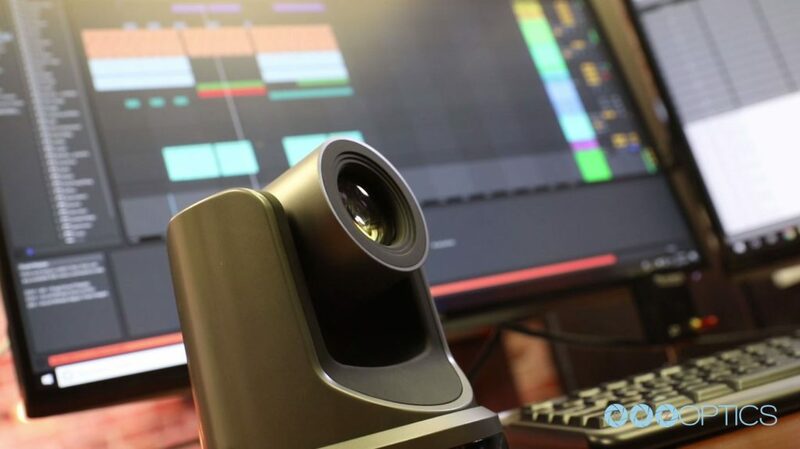 With some amazing help from a lot of our early adopters, we got a lot of feedback and were able to steer the camera to be able to serve a high-quality video conferencing solution as well as the burgeoning live streaming market. PTZOptics seemed to sprout up just about when live streaming was in its infancy. Was that luck, or did you predict that live streaming was going to take off? I think we had a good hint that it was on its way. We were watching as computers were getting faster and faster and saw that it was continuing to conquer more and more markets. Lucky enough for us with focusing on the design of a camera made for web PTZ, it was just a perfect marriage for what was going on in live streaming and a way to make that easy on end users. So, yeah, it was part a little bit of knowing something was coming and a little bit a bit of luck like everybody hopes for. Could you give us an overview of the different options that PTZ Optics offers? We have our Z-cams which are just mostly static cameras. They have a variable lens option, it comes with a lens to start which gives you about a 120-degree field of view out of the camera. However, it is all manual for focus and zoom. It's one of those things when you have a scene, and you want to be able to capture it reliably every time, you've got the Z-cam with SDI and network capabilities. We also have a 20X version of the Z-cam. This is modeled off our 20X PTZ model, but it just doesn't have pan or tilt. So, you still get zoom capabilities in it and network and SDI as well. Then we step into the larger units, the PTZ models. We've got a 12X that comes in a 12X SDI, which has HDMI outputs, network streaming capabilities and more. We have a USB version that also has an HDMI output and network streaming. We also have our newly introduced NDI versions that come pre-licensed for use with NewTek's NDI technology. We have the same variations available in 20X and 30X models. And then finally, we also offer producer kits. So, these are just a mix of the products to get you up and running with our cameras and live streaming in general. Can you tell us about the kits a little more and who they were designed for? So, in the very beginning, our first batch of kits was almost an example. 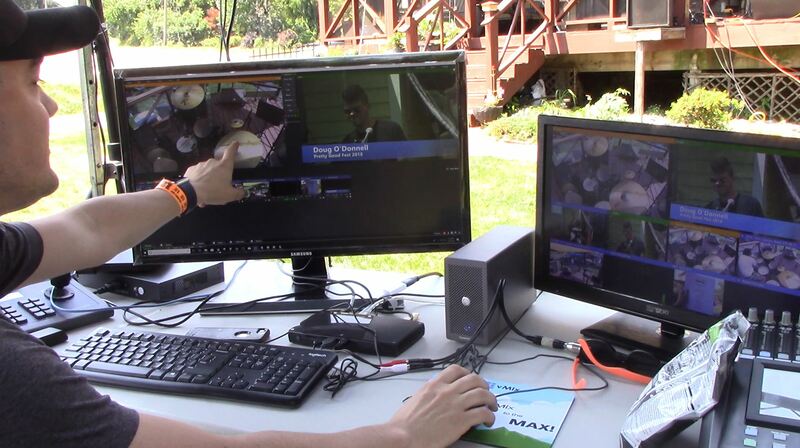 Many people didn't understand what they needed to accomplish a live stream. So, we put these kits together whether somebody bought the kit, or used it to see how it went together, we found it was a great example of what you need to get up and running. What happened, as with many products, we started to get feedback from the church market and the kits they were using and building themselves, and we refined the kit based on the feedback from the church market. They were incredibly helpful in deciding what kind of things were helpful and what things weren't very useful to them. I didn't want to glaze over the NDI cameras as well, because so many people have been so excited about those - so to say, "awesome job!" on them. Thank you. That was more time and hard work involved than I initially realized, but looking back, I couldn't have asked a better company to work with on that. NewTek is just amazing to work with. What are some of the more common uses for your streaming cameras? We have people using these for live streaming (as we've talked about) and basic production from YouTube shows to small television shows. We have studios using them. For example, we've got a company where they put in a studio for the community where local businesses can come in and make their own videos. We're involved in telemedicine, general conferencing, using the USB cameras typically or the new NDI cameras and their virtual input. The uses are all over the place, I guess one of the interesting ones is backstage at live performances in Vegas. They get utilized for the performers to know when they need to go on and off, for the directors to be able to understand where everybody's at and a couple of them actually in the live production that goes on for everybody to see. Streaming it is relatively new, and it can be intimidating for many. I was wondering how PTZ Optics gets over that hurdle with your customers? Part of it is having a fantastic staff here. From sales to support, it's a team that wants you to have the right stuff to succeed. And maybe that's all our stuff, perhaps it's a mix of other people's stuff, but what we want to make sure is that your message you're trying to put out there is heard. Moreover, we don't want our products to be limiting in any way. So, we have a staff that - you know - we have our support channels, our guides, our public forums, amazing supportive community and then our videos that cover every little thing that we can think of. Yeah, we try to make it easy for someone to get in on any level. It's been so helpful for our team and us being able to offer support to anybody, so we appreciate that aspect about PTZ Optics. And lastly, what's next? Phew! Yeah, so, we're going to be trying to focus more on features that improve the automatic capabilities of the cameras to provide higher production value so that you can be more of a novice, but that the camera is going to help guide you to produce something of a higher quality. And we're hoping that those same things will also assist in the meeting space to help provide a much more interactive and fluid meeting. Beyond that, we're going to be introducing some new features hardware-wise that we've been working on for probably the past two years based on a lot of end-user feedback, so get ready for a slew of new things.